While it's the creativity of the illustrations of zoo animals that really makes this a great addition to a young reader's library, the text is also smart and wraps up very well with a clever ending that ties the whole book together. With spare text and rich illustrations, Peggy Rathman walks us through the zookeeper's bidding the animals at the zoo goodnight. There are many funny details to seek and find on each page. The clever ending contains a bit of irony; So many toddlers take a favorite stuffy to bed, why not a gorilla? What can you say about such a beloved classic? It's humorous and doesn't spell every little thing out, but provides just enough clues that my 2.5-year-old was able to piece together what was happening. As we've read it several times over, he enjoys pointing out how the gorilla is going to help the other animals from their cages. A must-have board book for all babies. Good night, Gorilla. Good night, Elephant. It’s bedtime at the zoo, and all the animals are going to sleep. Or are they? Who’s that short, furry guy with the key in his hand and the mischievous grin? Good night, Giraffe. Good night, Hyena. Sneak along behind the zookeeper’s back, and see who gets the last laugh in this riotous good-night romp. Checkers and Dot visit the zoo, where they meet many different animals with interesting patterns. Introduce little ones to all sorts of different patterns seen on animals! In Animal Patterns, little ones will be asked which patterns belong to which animals. The pages of this book are filled with familiar, kid-friendly animals, such as giraffes, zebras, tortoises, leopards, and more, rendered in a soft colors that make this an even more enjoyable experience for babies. 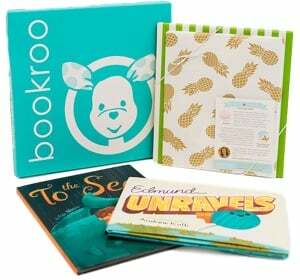 Each page includes embossed animal patterns, creating a tactile experience for tiny hands. And on the last spread, all the animals appear with their correct patterns! This is a fun book. My boys really love reading it. It is so simple and repeats the counting of 1 to 2 as it shows different animals and things at the zoo. Teaches how to count to two using zoo animals, including penguins, giraffes, and elephants. On board pages. Soon to be a major motion picture! This Harper Classic edition of the Newbery Medal winner and #1 New York Times bestseller includes an author's note, a letter from the real Ivan's caretaker at Zoo Atlanta, Ivan's "signature," discussion questions, and more. This unforgettable novel from renowned author Katherine Applegate celebrates the transformative power of unexpected friendship. Inspired by the true story of a captive gorilla known as Ivan, this illustrated book is told from the point of view of Ivan himself. Having spent twenty-seven years behind the glass walls of his enclosure in a shopping mall, Ivan has grown accustomed to humans watching him. He hardly ever thinks about his life in the jungle. Instead, Ivan occupies himself with television, his friends Stella and Bob, and painting. But when he meets Ruby, a baby elephant taken from the wild, he is forced to see their home, and his art, through new eyes. In the tradition of timeless classics such as Charlotte's Web and Stuart Little. Katherine Applegate's novel blends humor and poignancy to create this incredible tale of friendship, art, and hope. The One and Only Ivan was named to multiple state lists, received three starred reviews, and was hailed as a best book of the year by Kirkus, School Library Journal, and Amazon. Plus don't miss Katherine Applegate's Endling series! The Tiny Touch board books series teaches concepts to little ones in a stimulating and interactive manner! Little ones will love learning about jungle animals in this interactive board book! Embossed pages create a tactile experience for tiny hands. KC and Marshall investigate the theft of a precious emerald, brought by representatives of the Chinese government to bring luck to two baby tigers born at the National Zoo. Zoe loves living at her uncle's rescue zoo because there's always something exciting going on. And Zoe also has an amazing secret: she can talk to the animals. A giraffe has been born. Jamie baby giraffe's wobbly walk on his long legs makes everyone laugh, and he just loves to play tricks! But his tricks can cause trouble, and with the Best Zoo Competition coming up, can Zoe help Jamie behave and have fun?